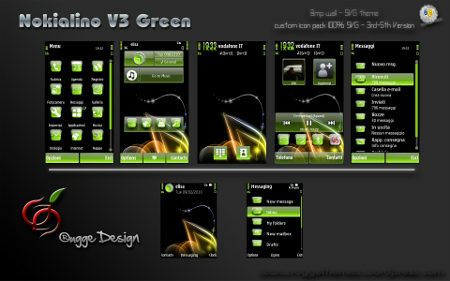 Total Green Theme free download for Symbian s60 3rd and 5th edition. What a relaxing and well looking skin! Total Green Theme by Nokialino is a total symbian theme treasure! The green color of the skin on the black background looks perfect on both symbian 5th and 3th edition phones. 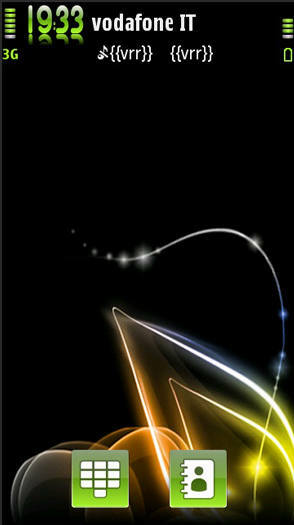 Glossy icons, little abstract orange tones - a perfect symbian theme for the comming spring! this file use zip extention. I try to decrypt it, but its need a password. What should i do. 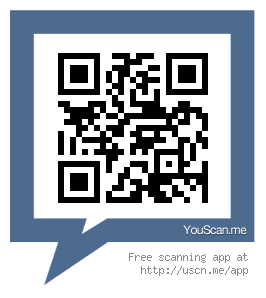 Download file by phone. Help me pls. Thanks. Thanks a lot for 4shere servece.